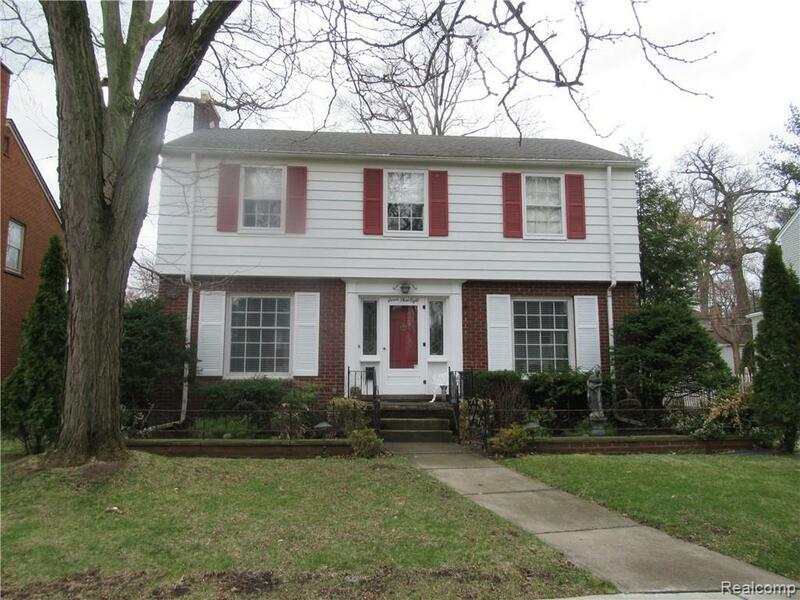 BEAUTIFUL LOCATION FOR THIS CENTER ENTRANCE BRICK COLONIAL DEEP IN THE HILLS ! ENTER WELCOMING FOYER TO SPARKLING HARDWOOD FLOORS - GRAND LIVING ROOM W/ LOVELY NATURAL FIREPLACE AND BUILT IN BOOKSHELVES - ONE IN A MILLION HEATED BACK FLORIDA PORCH MAKES THIS USABLE ALL YEAR W/ 3 GRAND DOORWALLS AND AWESOME TILE FLOOR - EXIT TO PRETTY LANDSCAPED YARD AND COVERED TILE PATIO - ALSO AMAZING! 2+ CAR GARAGE W/OPENER - SPRINKLERS - PRETTY LANDSCAPING ROUND OUT THE YARD ! TRADITIONAL 3 GENEROUS BEDROOMS UP W/MASTER DOUBLE CLOSETS AND 2ND BDRM W/ DOUBLE CLOSETS! AND FULL BATH - FORMAL DINING ROOM AND KITCHEN W/ COOL RETRO BREAKFAST NOOK - FINISHED BASEMENT W/ QUALITY PANELING IS GREAT FOR FAMILY ROOM - OR MAN CAVE - HOME ALSO HAS NEWER FURNACE -NEW HWH AND NEW CHIMNEY LINER-NEW REAR EXIT DOORS- ALL BLOWN IN INSULATION TO KEEP HEATING AND COOLING IN CHECK - TEAR OFF ROOF HOUSE AND GARAGE 2014 ! NEW C/A 2016- ALL COPPER PLUMBING - ONLY HOUSES W/ A HITCHING POST - COME AND SEE ASAP ! !